Again, it much assists a prince to set unusual examples in internal affairs, similar to those which are related of Messer Bernabò da Milano, who, when he had the opportunity, by any one in civil life doing some extraordinary thing, either good or bad, would take some method of rewarding or punishing him, which would be much spoken about. And a prince ought, above all things, always endeavor in every action to gain for himself the reputation of being a great and remarkable man. Bernabò Visconti (1323 – 1385) ruler of Milan. He performed one of his most noted extraordinary gestures in 1373 when Pope Gregory XI sent two delegates to excommunicate him. Bernabò compelled the delegates to eat the papers, together with its cord and leaden seal. A prince is also respected when he is either a true friend or a downright enemy, that is to say, when, without any reservation, he declares himself in favor of one party against the other; which course will always be more advantageous than standing neutral; because if two of your powerful neighbors come to blows, they are of such a character that, if one of them conquers, you have either to fear him or not. In either case it will always be more advantageous for you to declare yourself and to make war strenuously; because, in the first case, if you do not declare yourself, you will invariably fall a prey to the conqueror, to the pleasure and satisfaction of him who has been conquered, and you will have no reasons to offer, nor anything to protect or to shelter you. Because he who conquers does not want doubtful friends who will not aid him in the time of trial; and he who loses will not harbor you because you did not willingly, sword in hand, court his fate. Antiochus went into Greece, being sent for by the Aetolians to drive out the Romans. He sent envoys to the Achaeans, who were friends of the Romans, exhorting them to remain neutral; and on the other hand the Romans urged them to take up arms. This question came to be discussed in the council of the Achaeans, where the legate of Antiochus urged them to stand neutral. To this the Roman legate answered: "As for that which has been said, that it is better and more advantageous for your state not to interfere in our war, nothing can be more erroneous; because by not interfering you will be left, without favor or consideration, the guerdon [prize] of the conqueror." Thus it will always happen that he who is not your friend will demand your neutrality, whilst he who is your friend will entreat you to declare yourself with arms. And irresolute princes, to avoid present dangers, generally follow the neutral path, and are generally ruined. But when a prince declares himself gallantly in favor of one side, if the party with whom he allies himself conquers, although the victor may be powerful and may have him at his mercy, yet he is indebted to him, and there is established a bond of amity; and men are never so shameless as to become a monument of ingratitude by oppressing you. Victories after all are never so complete that the victor must not show some regard, especially to justice. But if he with whom you ally yourself loses, you may be sheltered by him, and whilst he is able he may aid you, and you become companions on a fortune that may rise again. Alvarez p137 note 8, tells us that this quote is from Livy 35:49, which in the Perseus Digital Library edition, runs: “For as to what they say is best, that you should not take any part in the war, nothing, on the contrary, is so inconsistent with your interests; yes, disregarded and discredited you will be the prize of the conqueror." This incident was part of the Roman – Seleucid War (192 BCE – 188 BCE) between Antiochus III and the Roman Republic, which happened shortly after the Second Punic War (218 BCE to 201 BCE). In the second case, when those who fight are of such a character that you have no anxiety as to who may conquer, so much the more is it greater prudence to be allied, because you assist at the destruction of one by the aid of another who, if he had been wise, would have saved him; and conquering, as it is impossible that he should not do with your assistance, he remains at your discretion. And here it is to be noted that a prince ought to take care never to make an alliance with one more powerful than himself for the purposes of attacking others, unless necessity compels him, as is said above; because if he conquers you are at his discretion, and princes ought to avoid as much as possible being at the discretion of any one. The Venetians joined with France against the Duke of Milan, and this alliance, which caused their ruin, could have been avoided. But when it cannot be avoided, as happened to the Florentines when the Pope and Spain sent armies to attack Lombardy, then in such a case, for the above reasons, the prince ought to favor one of the parties. Venice allied with (powerful outsider) France in the Italian War of Louis XII. Venice allied with Louis in order to capture a few Milanese towns. Louis captured Milan itself, after which France was in a position to dominate northern Italy, including Venice. A prince ought also to show himself a patron of ability, and to honor the proficient in every art. At the same time he should encourage his citizens to practice their callings peaceably, both in commerce and agriculture, and in every other following, so that the one should not be deterred from improving his possessions for fear lest they be taken away from him or another from opening up trade for fear of taxes; but the prince ought to offer rewards to whoever wishes to do these things and designs in any way to honor his city or state. Further, he ought to entertain the people with festivals and spectacles at convenient seasons of the year; and as every city is divided into guilds or into societies, he ought to hold such bodies in esteem, and associate with them sometimes, and show himself an example of courtesy and liberality; nevertheless, always maintaining the majesty of his rank, for this he must never consent to abate [hold back] in anything. In Machiavelli’s day the production of goods was controlled by professional associations called guilds. These were both trade associations and cartels, in the sense that they set wages and prices for each trade. Guilds also played a role in politics. In Florence, there were major guilds (e.g. bankers or cloth manufacturer) and minor guilds (e.g. butchers, and cobblers. Voting was restricted to guild members and members of major guilds had proportionally greater representation in the city government than did the minor guilds. 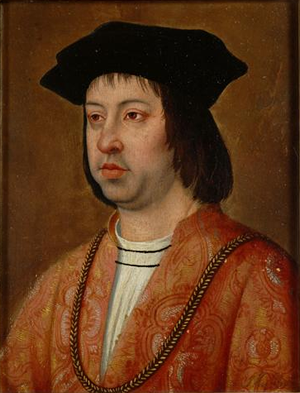 Vladimir Putin, like Ferdinand II of Aragon, has developed a reputation for great enterprises. 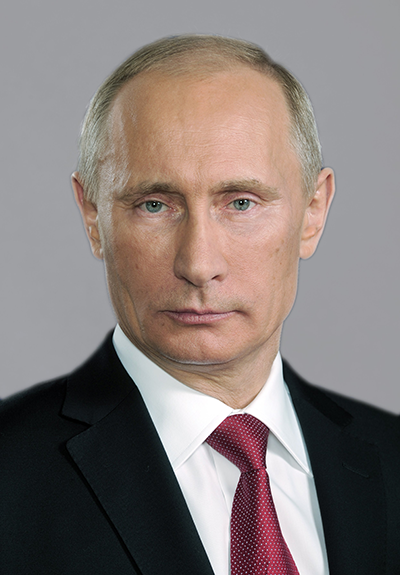 His actions from his probable assassination of dissident Alexander Litvinenko to his invasion of Ukraine, have propelled his popularity in Russia to an all-time high. Most people would acknowledge that he is either a true friend (to his allies, such as the separatists in Ukraine) or a downright enemy. He has avoided being despised for weakness, but whether he has successfully avoided hatred is perhaps up for debate. Attribution: Kremlin.ru [CC BY 3.0 (http://creativecommons.org/licenses/by/3.0)], via Wikimedia Commons. In this chapter Machiavelli adds to his discussion of the importance of the Prince’s reputation, which he began in Chapter 19. Niccolò also generalizes his “beware of powerful allies” principle into a more wide-ranging discussion about the benefits and hazards of allies (powerful outsiders). In this chapter he advises the prince, somewhat counterintuitively, that he cannot afford to remain neutral in a war between neighboring powers. Even in the case where one of the warring parties poses a threat, you must make an alliance with one of them. If you pick the loser, you will suffer, but not permanently, because the loser will still be an ally. If you pick the winner, you are faced with a, potentially dangerous, powerful ally, but because you were his ally, he will not turn on you. In this case you are much better off than if you had remained neutral. However, if you (the prince) had remained neutral, the victor will be totally unrestrained and you will become part of the spoils of war. In the case where neither of the warring parties is a threat, and one of them seeks an alliance, thereby giving you the chance to play the role of a powerful outsider, by all means take the opportunity to dominate your foolish ally. (This is just the opposite side of Niccolò’s “beware of powerful allies” principle.